We normally touch base about some do's and don'ts of online shopping around the holiday season - but with it fast approaching, we wanted to remind all our early shoppers of some helpful tips! 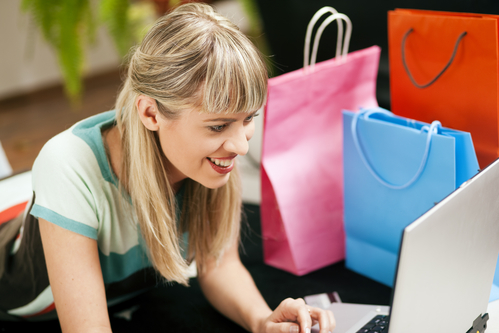 Online Shopping with a retailer - when shopping online, you should always make sure you have a secure connection. Many stores now accept Paypal as a way of payments - which is super helpful because it's like banking with an extra bank since it's connected to your bank. Also, when online shopping off a retailers online store make sure there are no hidden fees. We hate when we find an item 50% off only for the shipping to be that other 50%. Another thing to keep in mind when doing online shopping is the online shopping deals. Whenever I check out a store, I always run a google search with the word "discount" or "promo" codes. Sometimes there are online coupons that you didn't know about - which means you can save more money! Family Watchdog always recommends having your package dropped off at your work if its coming during the day. Porch-nappings of delivered goods is an increasing problem in many cities. People will follow the delivery driver and steal packages they deliver. You can avoid this by having your package shipped to your work, a neighbors house (who is home, with their permission of course) or have a signature required upon delivery. Online shopping through an app or Facebook - Facebook marketplace and Garage sale groups seems to be the new thing. You can do an online garage sale in a group near you to see all the items that are up for sale. And most of the time, people are willing to bargain on the price! However, when you find something online and meet someone to get your item, it's always a good idea to meet in a well-lit public place. A police station or post office is your best bet. We also suggest going with a friend. If your unable to take someone with you, it's always a good idea to tell someone where your going, what your getting and who your meeting. When buying things off Facebook, you should always look at the person's profile. Are they selling a $300 watch brand new for $25? Do they have any friends or content on their Facebook page? If a deal seems to good to be true, it probably is. And you should never send money to someone you don't know online! Craigslist used to be all the talk, but now it seems that our loved Craigslist is full of scam. People trying to sell junk or people trying to scam you out of money. Just like the online garage sales, if it sounds too good to be true, it probably is. Fishy sounding stories - like "my son just passed away and I had to move" or "I am stationed overseas". Also - question phone numbers that are not from your area or you do not recognize. Never pay for something you have not seen. Do not buy something electronic unless your 100% sure it works. Never wire funds or give a check. If paying for an expensive item, you may see if they will take a cashiers check or want to meet at a bank. What other suggestions do you have for online shopping?